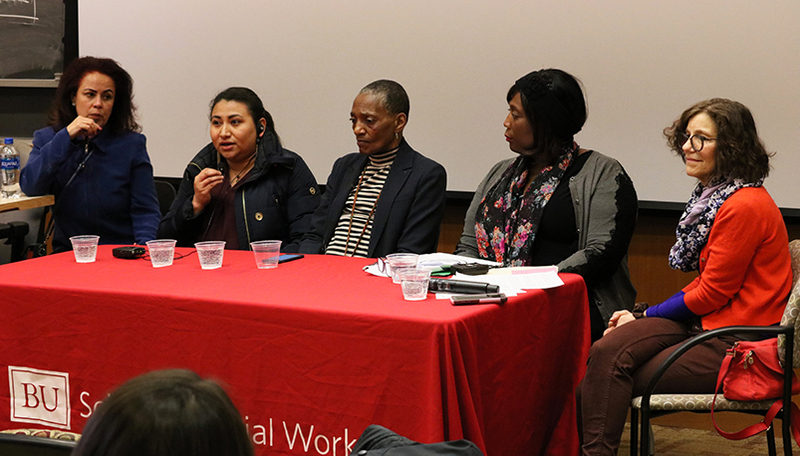 These were some of the big questions on the agenda at a recent panel discussion on housing justice and health equity hosted by the Boston University Center for Innovation in Social Work & Health. The panel featured Thea James, VP of Mission at Boston Medical Center, who has played a central role in the hospital’s housing initiatives, flanked by a pair of housing activists and community organizers, Gabrielle René and Noemi Rodriguez, from the grassroots organization City Life/Vida Urbana. The impassioned and wide-ranging discussion, moderated by Dawn Belkin Martinez, a clinical associate professor at the BU School of Social Work who focuses on social justice, spanned run-ins with developers and landlords, ongoing community organizing efforts, and the recent push to revive rent control in Boston. Read the full article at Boston Medical Center’s Health City.